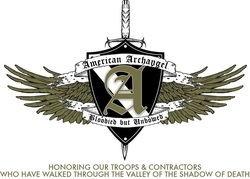 Our primary mission is to offer support and encouragement to the individual troops of our United States Armed Forces. We assist service connected disabled OIF & OEF era veterans re-integrate back into a normal lifestyle after military service through guidance and support based on personal experience. We are still in the conceptualization phase of our FreeGym Project and are seeking donations, grants, and sponsorships in order to be able to construct and staff a handicapped accessible gym facility tailored to the needs of OIF &OEF era disabled veterans. We pay it back through Operation Give a Shirt by mailing care packages, letters and card of support and encouragement to those who are still serving down range. This is only made possible through donations and sponsorships. We seek corporate sponsorship and individual contributions in order to provide the means and ways for our disabled veterans to regain their independence. We pay it forward through donations, volunteer work, and public promotion of all non profit military support organizations to which our co-founder's belong. These organizations help ensure that our troops downrange don't go without the love, support, and encouragement needed to get through their deployments in far off lands. They also provide our returning veterans with guidance, support, and camaraderie. American Archangels is inspired through the virtue of fortitude. Because fortitude moderates rashness, it is the special virtue of pioneers in any field. I was born and raised in the Republic of South Africa, yet forged into manhood in the the United States of America, courtesy of the U.S. Navy (1996 - 2000) and U.S. Coast Guard (2000 - 2002). I was medically discharged from the U.S. Coast Guard in 2002 due to injuries sustained from a shipboard accident, and passed away from a cardiac arrhythmia in 2003, yet was given a second chance at life when resuscitated. I have since lived each day as though it were my last. I served in and around Baghdad, Iraq as a disabled veteran civilian contractor from 2004 - 2007, and returned home to Texas in 2007 due to an aggravation of my disability caused from a car bombing in late 2004. I am currently a 60% service connected disabled veteran employed within the Texas Medical Center in Houston, Texas. The VA recently took into consideration my 41 months spent in Iraq as a civilian contractor, and diagnosed me with increased "unspecified anxiety disorder" and unchanged "post traumatic low back pain with left sciatica related to degenerative traumatic arthritis". I am 35 years old and have had 2 lower lumbar surgeries in the past 10 years. I suffer from sciatica, chronic lumbar pain, degenerative traumatic arthritis, anxiety disorder, and both short & long term memory loss. I have only disclosed the aforementioned medical conditions in my efforts to connect with other disabled veterans and assist them on their path to recovery. Please email me personally at usarchangels@hotmail.com if there is any way I may be of assistance to you. I am the loving wife of Max Reinhardt and have been sustaining him on his road to recovery since his return from Iraq in 2007. I have been employed within the medical field in Houston, Texas for just about 12 years now, and have found my calling through assisting others in need. I am the author of Momma Frugal and am in the process of publishing my own cook book. I am Samuel Bird of Philadelphia, Pennsylvania. I have been married to the love of my life, Ronnette Bird, for 17 years. We have 5 children, 2 granddaughters, and 1 new grandson. I love America and the city I live in as much as I love serving the troops as they deserve the very best that we have to offer. I am a part of this fantastic team of people with a great concept: to reach out to our warriors and make a difference in the lives of everyone we connect with. Speaking from personal experience, going into combat is hard and very stressful. I have been both active duty Army as well as a civilian contractor in Iraq supporting the troops. The stress of the war zone environment remains in both veterans and civilian contractors long after returning home to family.